The big annual Steam Winter Sale is set to kick off later this week, but perhaps you just can’t wait to grab some deals on PC games? Well, key reseller Fanatical (formerly BundleStars) are in the midst of their own Winter Sale, which may offer some better deals than the official Steam sale. For starters, Fanatical is offering pre-order discounts on upcoming games like Resident Evil 2 Remake, Devil May Cry 5, Rage 2, and Civilization VI: Gathering Storm. Also, if you enter the discount code FANATICAL10 you get a bonus 10 percent discount on all the deals listed below! Here are some of the best Fanatical Winter Sale deals currently being offered. Some of these are only available for a limited time (the Monster Hunter deal expires this evening) so jump on them while you can! 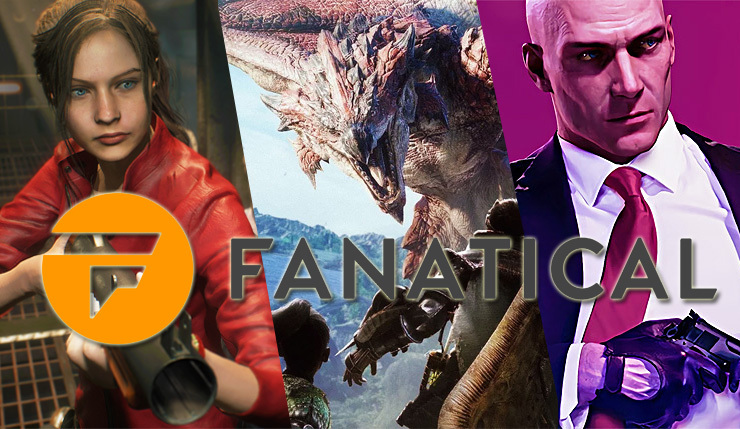 You can check out the full lineup of Fanatical Winter Sale deals right here. What do you think? Any bargains you just can’t pass up? I can tell you Hitman 2 and Monster Hunter: World are definitely worth your time, and that Resident Evil 2 pre-order is certainly enticing. The Fanatical Winter Sale will continue until December 31, with deals being regularly added and removed as it goes along.